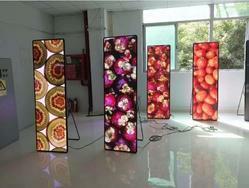 Manufacturer of a wide range of products which include led display standy. wi-fi--- usb -- any video play--day light led screen stand pl call 9220601860--wifi--usb--hdmi input--play -mp4,jpeg and avi --size 6/2 feet cost 1.75 --rental 8000/- perday --18% gst. Looking for LED Display Standy ?